This website was a conception of Rob Beck during some downtime following Ironman NZ 2009, and was initially a forum only site. I had to do something during my recovery, and this seemed like a good idea. Since then the website has been hacked 3 times and the forum re-initialised from backup each time. The current incarnation is a fresh start with a much better host, and the latest version of phpBB3. The site now support both the forum and my triathlon iphone app. I hope to add more apps and other mobile platforms in the future. 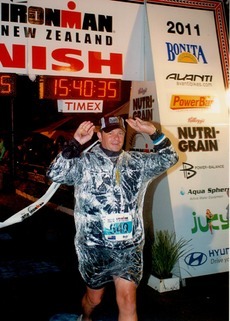 My triathlon journey began essentially in March 2008. Prior to this I had competed in a number of random cycling and running events, and a single Sprint triathlon if my memory serves me correctly. But since moving to Auckland I had been bloody lazy and gained too much weight. It was time to get moving again. You can read more about my story in this forum. During my 2008/09 training for Triathlon and Ironman events I looked for as much online resource as I could find. The main thing that struck me was the lack of community based online forums for triathletes and multisporters in NZ. There is the odd forum attached to commercial websites, but nothing really dedicated to just being a forum and doing it right! And so in April 2009 trisport.co.nz was born. Shortly after in November 2009 my first iPhone application was published in the app store. Endurance Diary was one of the first triathlon specific database app and initially commanded a US$25 price tag. It sold well for a munber of months. As competition increased, my price decreased and now sells well at the current level. This is what software development is all about and I was lucky to have been part of the early adoption phase with this app. I hope you enjoy this site, and that it becomes useful for all involved in the sport and all beginners to the sport. And please feedback any comments on the site or my apps.